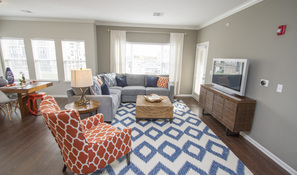 Providing you with modern features, sophisticated style and convenience, the one and two bedroom apartments available in this community are the top choice for apartment living in Lee’s Summit, MO. 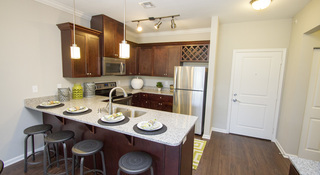 With 11 layouts to choose from, you are sure to find the apartment that is right for you. While all of the open-concept units include a laundry closet with a washer and dryer, walk-in closets and private balconies, there are also units that include a den or a built-in desk. You can also elect for a corner apartment with many windows or a horizontally long unit that extends from the front to the back of the building. Additionally, some two bedroom units provide an en-suite bathroom within the master bedroom. Ranging from 707 square feet to 908 square feet, the one bedroom, one bathroom apartments provide several options for customization. For instance, some units include a built-in desk, while others offer a private den. All units include a patio or balcony, walk-in closets in the bedroom and laundry closets with in-unit washers and dryers. You can choose between one of two available two bedroom, one bathroom apartments at either 939 square feet or 1,142 square feet. 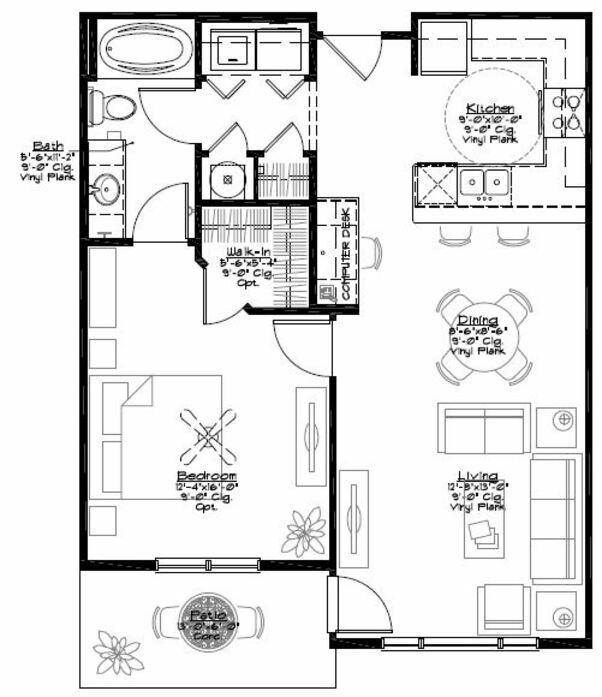 Additionally, there are four layouts with two bedrooms and two bathrooms. These apartments range from 1,088 to 1,396 square feet, and they all provide a walk-in closet in each bedroom. The Residences at New Longview are ready to welcome you home to style, comfort and convenience. Schedule a Tour Now. This one bedroom has a den off the dining area. There is a private balcony and the home comes with a full size washer and dryer.